It truly amazing to me that in over a year of writing this blog I have never written about dressing up. Dress up is something we literally do every single day without fail. On most days, one or both of the girls are in dress up clothes before breakfast. They wear dress up clothes to play inside, to play outside, to cook, eat most of our meals and even occasionaly to take a trip to the library. We have a large trunk in our playroom that is overflowing with dress up clothes. Some we have been given as presents, some we have inherited as hand me downs from very kind neighbors, some we have gotten from clearence racks or second hand stores and some are my old clothes. 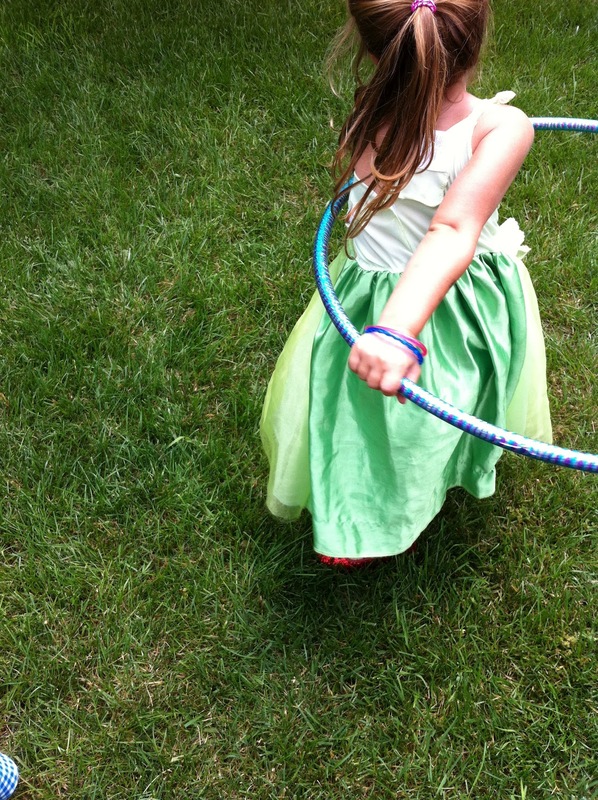 While most of them get worn at one time or another, both the Bee and Bean have their own specific favorites. 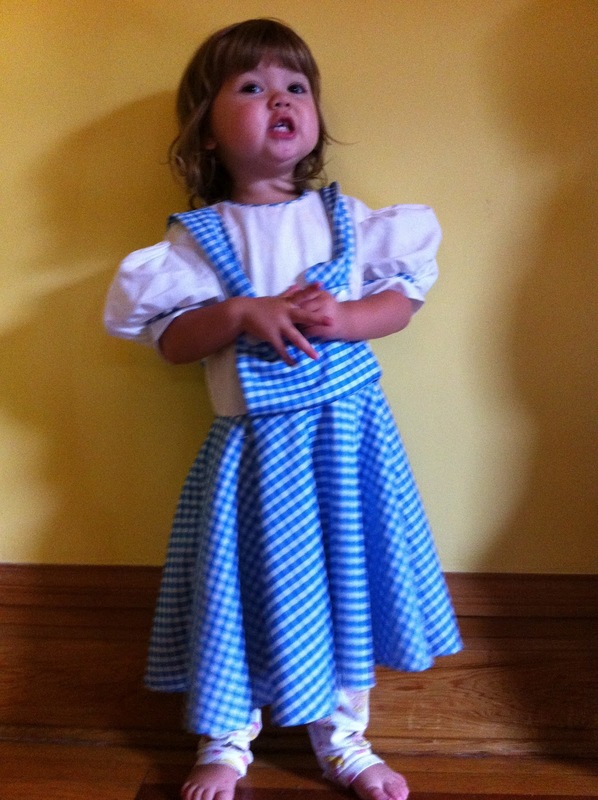 The Bean spends most of her time dressed in an old Dorothy costume (complete with basket, ruby slippers and stuffed Toto) which was a hand me down from our neighbor who was once Dorothy many years ago for Halloween. The Bee is a little less specific, mostly sticking to what she calls "beautiful dresses" and some kind of wings. My most favorite part of the dress up, is that even though they spend so much time wearing the same dress up clothes, they are almost never playing the same thing. One moment the Bee might be a queen getting ready for a ball, the next she is fairy, then she is pretending to go grocery shopping. All in the same dress. I love the personas that dress up clothes allow them to explore.